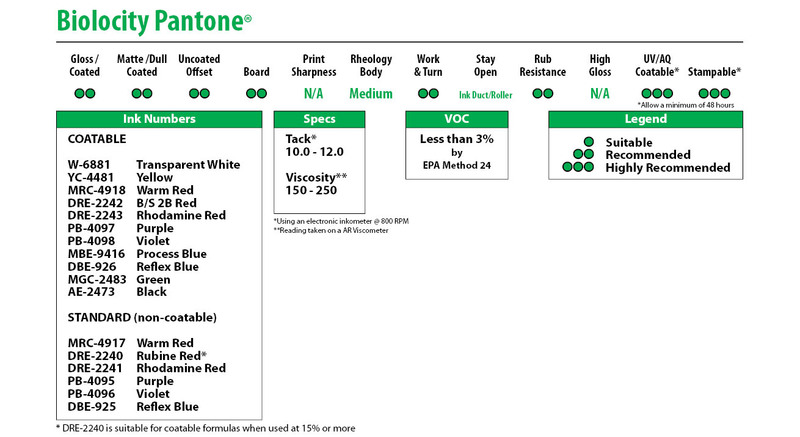 Superior’s Biolocity Pantone® was created using state-of-the-art pigment and resin technologies. 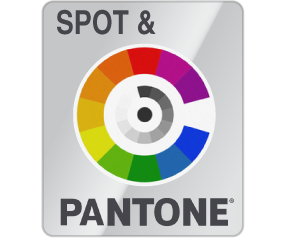 Superior’s Biolocity Pantone® was created using state-of-the-art pigment and resin technologies, with the fewest additives and raw ingredients possible. These formulas are also available coatable, as noted below. Biolocity is an innovation in environmentally responsible sheetfed ink that delivers superb lithographic performance, press productivity and print quality with extremely low levels of volatile organic compounds. Biolocity sets a new industry benchmark for green formulation technology with the incorporation of high percentages of bio-derived, renewable raw materials.